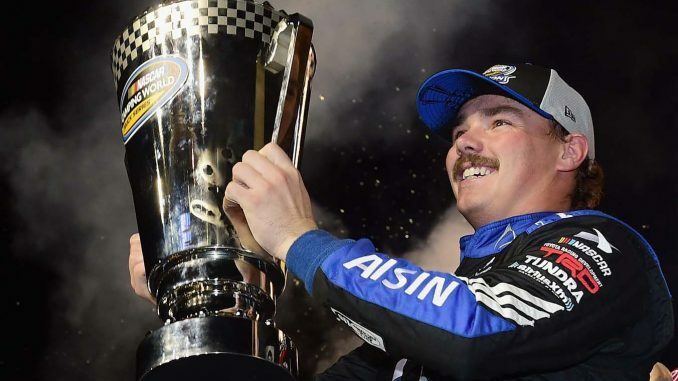 Brett Moffitt, a kid with a moustache reminiscent of Leo DiCaprio—yet already a journeyman driver at age 26—is the NASCAR Camping World Truck Series champion after a decisive victory in Friday night’s Ford EcoBoost 200 at Homestead-Miami Speedway. Hattori fought sponsorship issues throughout the season, and Moffitt has yet to announce a deal for next season, but that didn’t deter the driver of the No. 16 Toyota from battling Gragson from a restart on Lap 68 until he finally prevailed on Lap 99—after two concerted runs at his rival for the title. Time of Race: 1 Hrs, 30 Mins, 13 Secs. Margin of Victory: 2.000 Seconds. 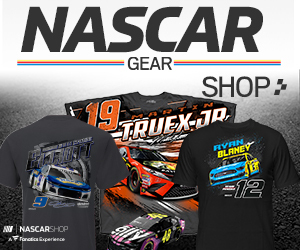 Lap Leaders: G. Enfinger 1-33; M. Crafton 34-36; N. Gragson (P) 37-38; M. Crafton 39; B. Moffitt (P) 40-66; N. Gragson (P) 67-98; B. Moffitt (P) 99-101; S. Creed 102; B. Rhodes 103-104; J. Anderson 105; B. Moffitt (P) 106-134. Leaders Summary (Driver, Times Lead, Laps Led): B. Moffitt (P) 3 times for 59 laps; N. Gragson (P) 2 times for 34 laps; G. Enfinger 1 time for 33 laps; M. Crafton 2 times for 4 laps; B. Rhodes 1 time for 2 laps; S. Creed 1 time for 1 lap; J. Anderson 1 time for 1 lap.